This entry is part 17 of 38 in the series Praise Ye The Lord. LORD, thank you for life. I am grateful for this life. I am grateful to be your bond servant. Teach me to be humble and patient. Teach me to serve you in every service you lead me toward. Thank you God, for sending your only begotten son, who is the WAY, and the TRUTH, and the LIFE—and through Jesus, we may come to the Father. Heavenly Father, lead me to fulfill your plan for me. I humbly submit to you. All praise, honor, and glory be unto the LORD. God's will be done. In Jesus' name. Amen. 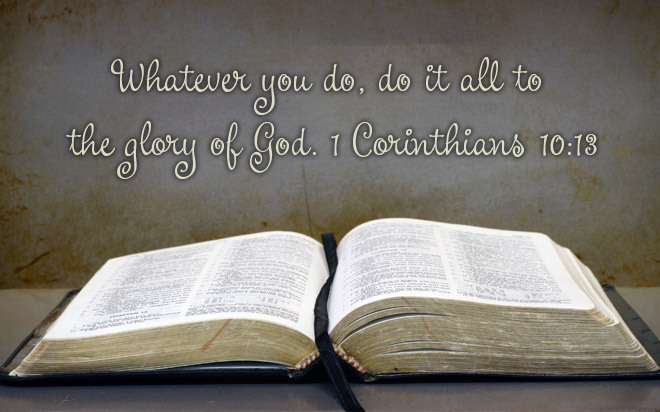 Whatever we do, eating or drinking or anything else, should be done to bring glory to God (1 Corinthians 10:31). Multifavs and ImaJesusFreak like this.